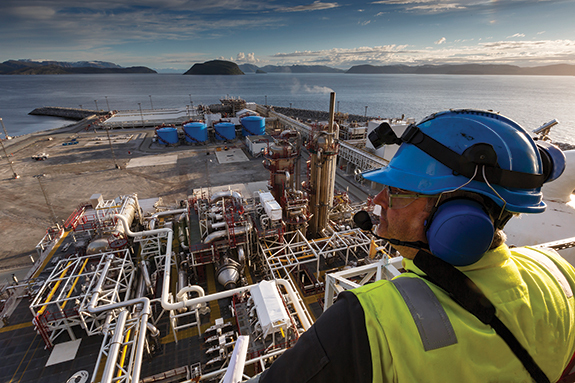 Many oil and gas companies today use outdated, inefficient – and routinely – manual procedures to manage their terminal operations in accordance with the ebb and flow of production demands. The organic evolution of many terminal networks has also meant that the IT infrastructure of one site is often different to the next, creating complexity and inefficiency and preventing a flow of vital information to operators and decision makers. This fragmentation has prevented many companies from exploiting powerful data analytics that would otherwise transform their businesses. Disparate systems: most oil and gas companies have, over time, procured different technologies – from architecture to software to alarms – for different terminal sites. This has resulted in high IT costs and significant CAPEX investment; siloed terminals with inefficient communication between them; and the inability to apply best practice from one terminal to the next. Data collection and integration: with so many technical differences between terminals, it’s difficult to rationalise the information that is collected from them and create a common framework for data capture. This has resulted in an inability to assess and benchmark terminal performance via key performance indicators (KPIs). Data analytics and visualisation: the lack of integration between terminal sites makes it difficult to analyse and visualise collective data to make informed business decisions. This also makes it harder to identify problems and bottlenecks, predict issues and pinpoint inefficiencies within the supply chain. IT hardware: terminal networks create vast IT demands, which are often compounded by the need to maintain different IT infrastructures. Some sites use different servers, operating stations, networks and PCs that require regular software and security updates – as well as dedicated IT engineers – to keep them running. This leads to high maintenance and headcount costs; higher chances of downtime due to IT failures; and a lack of standardisation across terminal networks. By migrating terminal automation to the cloud, most of these operational challenges will be resolved. Cloud provides a foundation for fully integrated, centralised control of terminal management functions such as remote diagnostics, capacity management, data analytics, persona-based information management and visual dashboards, mobility, backup and restoration and IT capacity. Cloud also makes it possible to scale up or down in a way that was never possible before. For example, a plant owner can add terminals without having to go through a lengthy process of testing new software first at a factory, then at the plant. They can also easily add gantries and bays to increase the throughput of a terminal. Security is a concern for those considering using cloud-based solutions, and potential users are demanding cutting-edge safeguards to protect their data and wider infrastructure. Technology developments in recent years have seen the development of cloud-based security that is equal to that of physical installations, providing maximum protection and peace-of-mind. Honeywell is addressing the need for cloud-based terminal automation with Enraf® Terminal Manager on Cloud. This solution leverages the proven foundations of Terminal Manager and strengthens it by moving it onto the cloud, transforming its capabilities in key areas such as scalability, availability, serviceability and security. It is built on Honeywell’s proprietary Sentience cloud infrastructure, which uses cryptographic techniques to protect data during transmission and at rest. 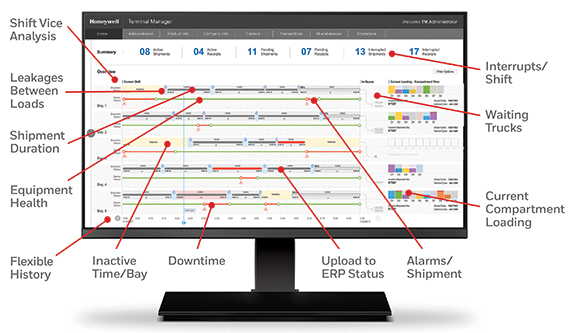 Terminal Manager on Cloud delivers reduced IT infrastructure costs; remote monitoring and diagnostics capabilities; homogeneous terminal management; and KPI-based measurement and benchmarking. The runaway complexity of today’s multi-terminal sites is a reality that must be addressed. Thankfully, a solution to this longstanding challenge has arrived: cloud-based terminal management that delivers unmatched operational control and scalability, and the ability to drive down costs. Cloud is ushering in a new era of data analytics capabilities, allowing oil and gas companies to make better strategic business decisions and more rapidly adjust to market conditions. Meanwhile, the latest in embedded data security provides peace-of-mind, allowing site operators to focus on what they do best. The future of terminal automation has arrived.